Cape Town’s V&A Waterfront is situated in the oldest working harbour in the southern hemisphere, with the iconic Table Mountain as its backdrop. Visited by 25 million visitors annually, it is one of Africa’s most visited destinations and contributes significantly to South Africa’s socio-economic growth by leveraging its geo-strategic location and unique coastal, marine and ocean assets. A mixed-use development, it covers 123 hectares made up of nearly 800 tenants, including residential and commercial property, hotels, retail, dining, leisure and entertainment facilities, along with heritage sites and tourism landmarks. Jointly owned by public and private interests, the V&A ultimately benefits all South Africans. Continued investment in new developments contributes to its strong growth trajectory, as well as cementing its position as one of the world’s leading waterfronts. 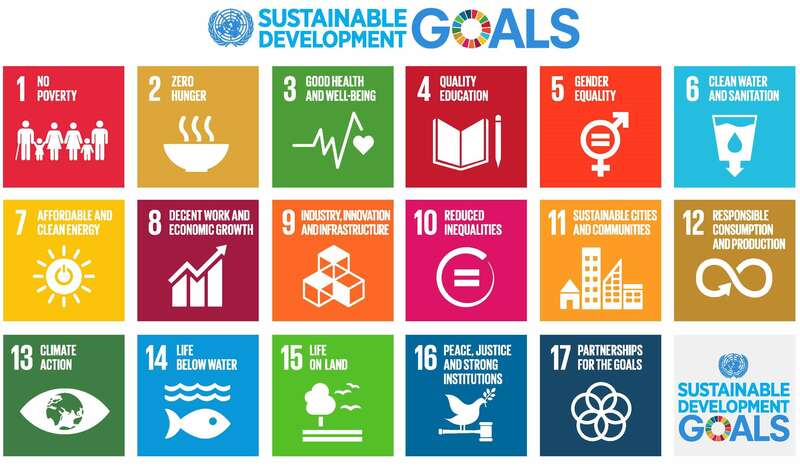 The organisation sees for itself the opportunity to promote sustained, inclusive and sustainable economic growth, full and productive employment and decent work for all, in alignment with the United Nation’s Sustainable Goals. The V&A Waterfront makes a significant economic contribution to the city of Cape Town, the Western Cape province and country. It was the catalyst in the regeneration of the foreshore. It was the gap that allowed people living in the Cape Town Central Business District back to its long forgotten sea. It is a magnet for locals, domestic and international visitors. Every day 21,790 people come to work at V&A Waterfront; more than 2,000 people live in the precinct; and up to 180,000 visitors are welcomed daily during peak season. The V&A Waterfront makes an on-going contribution to the local and national economies through its contribution to GDP, household income and taxes. It employs thousands of people who would otherwise be without jobs. The Waterfront has made a R335 billion (USD25.3 billion) GDP contribution in nominal terms over the past 14 years. Gross Geographic Product (GGP) is the provincial equivalent of national GDP. Since 2002 the V&A Waterfront has added close to R294bn (USD22.6 billion) to the Western Cape GGP. Through the transformation of a derelict oil tank farm into a multi-billion dollar mixed use development, the Waterfront has allowed thousands to benefit indirectly through increased property values – and the City has been able to access some of this through potentially higher rateable income. According to the 2012 V&A Economic Impact Study, the Waterfront development was responsible for a 23% increase in property prices within a 1.5 kilometre radius of the V&A. The Waterfront management company is committed to addressing historic imbalances through inclusive and sustainable development. The annual Broad-Based Black Economic Empowerment (BBBEE) audit reflected strongly positive results for the key indicators of equity ownership (audit score of 100%), preferential procurement (score of 95%) and enterprise development (score of 100%). While top management does not yet reflect an appropriate demographic balance, the percentage of black junior and middle managers is growing (79% and 58% respectively) and skills development through in-service training for black employees is recognised in the audit results (score of 92%). Unemployment presents a significant challenge in South Africa, with the official unemployment rate at 26.6% (2016) and youth unemployment estimated at a staggering 55.9% in July 2017 (Statistics SA). Beyond the creation of much-needed jobs, an outstanding feature of the V&A Waterfront is its commitment to the support of small businesses and the multiplier effect these can have on job creation. The enterprise development strategy has targeted the promotion of small-scale craft into sustainable businesses. Many of those benefitting from small-business support and mentorship come from disadvantaged backgrounds. The Waterfront provides direct jobs to 21,790 people, of which 205 are directly employed by V&A Waterfront Holdings (Pty) Ltd (the property management company of Cape Town’s waterfront). Direct jobs are created through on-going operations and capital expenditure; indirect jobs result from multiplier effects of capital and operating expenditure and turnover generated by tenants. The number of indirect jobs has increased from 9,687 (2002) to 17,516 (2016). This increase highlights an important trend of sustainable job creation. Entrepreneurship is seen as a key solution to addressing South Africa’s poverty cycle. The Waterfront has supported the development of small businesses since 1990. The Watershed (formerly the Waterfront Craft Market) emerged as an enterprise development flagship in 2014 with more than 55% of the space dedicated to small business. 1,072 people are employed on a part or full-time basis in 234 permanent small-scale businesses (2016 survey). Since the creation of the Watershed, the contribution from small business has grown from 1% of the total property turnover to over 4%, a considerable increase as our overall retail gross lettable area has also increased over this period. Affordable rentals and varied stall sizes allow for variety and growth and entrepreneurs are exposed to thousands of people who visit the Waterfront each day. The economic impact on the local economy is enhanced because many of the businesses produce their own goods and services. A dedicated Small Business team is on hand seven days a week to support and mentor small-scale entrepreneurs. The programme offers an incubator (in collaboration with the Craft Design Institute), growth platform and full retail experience (Barrows). Co-operatives allow for entry level trading opportunities enhanced by feedback from the management team. Training sessions are offered on product development and visual merchandising, with an emphasis on service excellence, product quality and uniqueness. Small businesses are included in Customer Service Awards and recognised at the same level as the mainstream Wharf retailers. Many successful small business tenants have expanded into retail space at and beyond the Waterfront, with some growing into significant scale and even national retailers, such as Naartjie kids’ clothing. A newly introduced innovation at the Waterfront is Workshop 17. Here, start-ups and experienced companies, profit and non-profit, big and small, meet, collaborate, experiment and innovate. Currently Workshop 17 has a total of 93 sub-tenants. It has been shown world-wide that clustering, particularly when it includes start-ups, helps foster collaboration and generates greater business success. Alongside its partnership with the large-scale fishing industry, the Waterfront strives to accommodate many individually-owned small fishing vessels. Sixty-one small fishing vessels berth at the V&A, employing just over 800 employees. The Waterfront also sponsors space for the weekly Oranjezicht Farmers’ Market, providing 60 urban farmers the opportunity to provide locals and visitors with a variety of organic and fresh produce. V&A Waterfront is committed to inclusive development, not only through its philanthropic activities, but as a core element of its business strategy. The inclusion of marginalized and excluded groups is a national imperative, given South Africa’s apartheid history and legacy of inequality. A pro-poor management strategy equally provides for dynamism and innovation in the organisation’s service offerings, a sense of pride amongst employees and a richer and more nuanced visitor experience. The strategy is supported by a Corporate Social Investment (CSI) programme that seeks to assist non-profits and community service initiatives. These include donations, bursaries, several value in kind sponsorships of space across the property, as well as employee involvement. The proposed budget for FY18 forecasts a total value of R6.8m, realised with approximately 3,800 direct beneficiaries. Mass youth unemployment, estimated at 55.9% (Statistics SA), is widely regarded as the biggest social problem facing South Africa’s development. The V&A supports organisations that upskill and develop SA youth through sponsorships and provision of premium venues at no cost. · Space to the value of R650,000 is provided for CodeX, a full time, one-year coding program that trains and places bright young talent as software developers. In 2016, Codex had 42 graduates, of which 70% found employment and 24 learners became employers. · The Amphitheatre is provided at no cost to selected organisations involved in youth development and awareness. These include the Umbiyozo Foundation, a youth-focused social venture that unites traditional song and dance troupes of Cape Town’s black townships, seeking to address gangsterism, drug usage, teenage pregnancy, social isolation, and disempowerment; and JazzArt Dance School which focuses on dance education for youth at risk. · The V&A Waterfront partners with the Zip Zap Circus to bring free entertainment at the Amphitheatre over the December school holidays. Zip Zap is a social circus started in 1992 to inspire young people by providing material and financial support toward developing basic level circus skills. Their “Dare to Dream” programme provides for students over the age of 16 who are interested in pursuing a career in circus arts. The Waterfront is committed to addressing historic imbalances through inclusive and sustainable development. Since 2015, the property management company of Cape Town’s waterfront’s (the V&A Waterfront Holdings (Pty) Ltd) internal Procurement Department has been progressing an implementation plan to assure that all products acquired through procurement are locally sourced. A 2016 survey of the 234 small business tenants trading at the Waterfront indicated that: 92% of products on sale are made in South Africa, 1% are from SADC (excluding South Africa), 6% from the rest of Africa and only 1% of businesses sell products from outside Africa. Entrance to the V&A Waterfront is free of charge. The precinct offers more than 300 events and activations every year at no charge – and everyone is welcome. The V&A actively supports Cape Town’s Museum night, which aims to make the city’s cultural institutions more accessible while fostering engagement with local art and culture. During the most recent museum night on 28 June, 9,500 visitors to the V&A had free admission to most museum sites and half-price admission to the Two Oceans Aquarium. The Waterfront hosts Cape Town’s biggest New Year’s Eve celebration, which sees about 200,000 visitors enjoying free entertainment, including a spectacular fireworks display. In keeping with this commitment, the soon to be opened Zeitz Museum of Contemporary Art Africa (MOCAA) will offer free entry to citizens of African countries on Wednesdays between 10:00 and 13:00 and free entry to under 18s. The V&A Waterfront is committed to optimal levels of resource efficiency and has implemented green business practices throughout its property. The environmental programme has progressed significantly since its inception in 2011 and continues to deliver improved efficiencies and reduced costs for the management company and tenants. A green lease and tenant specification standard is applied for all design, construction and refurbishment phases. A comprehensive programme of environmental initiatives is managed and coordinated through an externally-audited Heritage Environmental Management System, the first tourism operation to implement such a system in Africa. The Waterfront was awarded a gold classification in 2012 and since 2013 has consistently achieved platinum status. In 2016, the V&A Waterfront reduced its water consumption by 25% against a 2008/2009 baseline. This is equivalent to 152 Olympic size swimming pools and a saving of R11.5 million. · Introduced waterless urinals and water efficient plumbing. At least 45% of Waterfront waste is recycled, with a commitment to increasing this volume going forward. Waste Management at the Waterfront has been outsourced since 2009, engaging a team of more than 40 people operating around the clock. An onsite waste facility allows for separation at source in support of recycling efforts. Of the 6,300 tons of waste collected by annum, more than 2000 tons are diverted from landfill. An incentive scheme encourages tenants to recycle their waste, with zero charges being levied for effectively recycled waste streams. Electricity savings of 35% were achieved in 2016, using 2008/2009 as a baseline year. Significant reductions in carbon emissions have been achieved over the past nine years, taking into account the growth of the property. Current emissions are at 83,000 metric tonnes, compared to 95,950 tonnes in 2009, with a year-on-year property growth of 300 acres. A green lease agreement incentivises tenants to reduce energy use and tenants have been engaged in an educational programme. Installed meters allow for tenant premises to be tracked individually, supporting activation of the green lease agreement. · Reducing the vehicle fleet from 50 to 19 vehicles, introducing three electric vehicles and charging facilities, bicycles for security staff, dedicated cycling lanes and enhanced access to public transport. Since 2006 when BP built its green Head Office in the precinct, the Waterfront has committed itself to optimally-operated buildings based on efficiency and design. A member of the Green Building Council of South Africa (GBCSA) since 2013, the Waterfront is committed to ensuring that all new buildings or developments achieve a minimum 4-star (or higher) GBCSA rating. In 2013, Number One Silo was awarded a top tier 6-star (SA) rating for design and in 2014 achieved the 6-star (SA) build rating. In 2015, the Victoria Wharf shopping centre and BP Commercial building were awarded a 4-star (SA) existing building rating. In 2016, Number Five Silo and Waterway House were awarded respectively a 6- and 5-star (SA) design rating. The Green Good Design Award was presented to the Silo Precinct by the European Centre for Architecture Art, Design & Urban Studies and the Chicago Athenaeum Museum of Architecture & Design. Since 2015, the V&A Waterfront has operated a Green lease system to allow for measurement of tenants’ performance in water and energy consumption and waste recycling practices. Green leases are in place with approximately 24% of tenants, with all new developments and tenant installations incorporating green principles during the design and installation phase. The tool has had a significant impact on the resource efficiency and recycling practices of tenants, leading to an overall saving of 25% in water and 35% in energy consumption. Behaviour change has been further enhanced by training and ongoing communications for tenants. Recognising its potential as a showcase to the world, the V&A Waterfront has positioned itself to support the growth and development of local arts and culture. Efforts in this arena span a wide variety of initiatives, including the flagship busker development programme, cultural rites of small-scale fishers and the soon to be opened Zeitz Museum of Contemporary Art Africa (MOCAA) – hosting the world’s largest collection of contemporary art from Africa and its diaspora. In 2016, the V&A impacted the lives of 126 buskers. The provision of performance space and mentorship helped young musicians to build their craft, a loyal fan base and an income stream. Total value for the fiscal year ended March 2017 was approximately R1.6 million. 2016 also saw the first V&A Cape Town Busker Festival, in partnership with the esteemed South African National Arts Festival. Local buskers were able to take part in skills development workshops with buskers from all over the world, access booking agents or managers and build their audiences. A dedicated resource manages on-site compliance, mentorship and scheduling. Monthly workshops commenced in October 2016 on topics such as business acumen and artist development. These resulted in a dramatic increase in the quality of busking across the property, with one busking group, Native Young, winning the South African Music Awards (SAMA) award for best contemporary album. In 1989 a small group of volunteers decided to bring the old Portuguese Tradition of Blessing of the Fishing Boats before the start of the new fishing season to the V&A. Holy Mass is usually celebrated by the Archbishop of Cape Town, followed by a procession on the land. This has become an annual event on the V&A calendar and usually take place at the end of September or beginning of October. All proceeds are donated to a Welfare Organisation identified by the local Portuguese community. The Zeitz Museum of Contemporary Art Africa (MOCAA) – opening on 22 September 2017 – will feature 80 galleries, over 9 floors, and 6,000 square metres of dedicated, and changing, exhibition space. The V&A Waterfront recognised the significance of its Grain Silo complex (originally constructed in 1921) as an historic landmark and for years debated possible uses. An art museum was considered a good balance between civic significance and public access, however the Waterfront had no art collection. At the same time, Jochen Zeitz was working with curator Mark Coetzee to build a world-class collection of contemporary art from Africa and its Diaspora. These two visions met to create a not-for-profit partnership and public institution named Zeitz MOCAA. The vision of the museum is to advance, promote and preserve the arts and culture from Africa and its Diaspora; to provide economically viable access to a core collection of art to the public; to operate appropriate schools programme to enrich, inspire and bring art and culture to school children; and for Zeitz MOCAA to be seen as giving back to Africa and telling the African story through art and culture. The V&A Waterfront funded the redevelopment costs (an amount of R500 million), and is gifting the use of the building at no cost to the institution.